Looking for a Place to get Church Envelopes? This is a great time of the year to order your church envelopes. 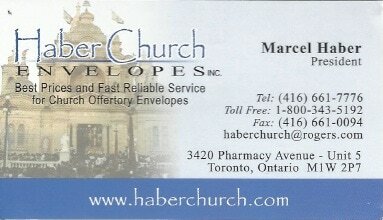 We recommend Haber Church Envelopes.